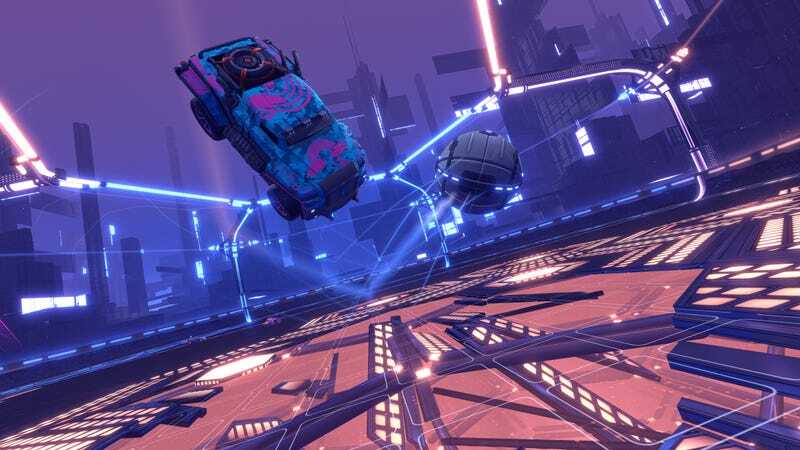 Arriving alongside the launch of competitive season four on March 22, Rocket League’s free new Dropshot mode sees players smashing open the ground underneath their opponents in order to score. Dropshot takes place in a hexagonal arena called Core 707, which doesn’t feature any traditional goalposts. Using an electrified ball that grows stronger as it’s hit and dribbled, players attempt to bust open the floor on their opponents’ side, scoring when the ball falls in. Once a goal is scored the floor resets. You can read more about Dropshot over at the official website. Sounds like a hell of a thing to while I’m not participating in competitive season four.